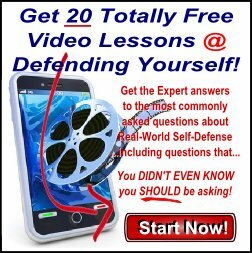 Are You Going To Get Your Arm Broken In A Real Fight Or Self-Defense Situation? 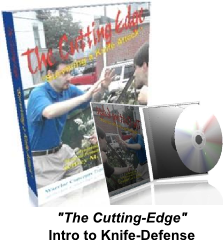 Are You Learning To Get Your Arm Broken In A Real Fight Or Self-Defense Situation? (C) 2009, Warrior Concepts Int'l, Inc. 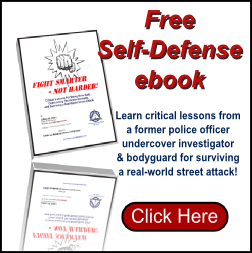 When it comes to protecting our targets against an assailant's attacks, especially striking attacks, a martial art student focusing on real-world\effective self protection must be careful that you're not overlooking one. While this target may be practically invisible to most attackers, not to mention martial arts students and instructors, going up against a skilled attacker who knows how to exploit this weakness can have you on the losing end with a badly damaged arm, if not more, when everything is said and doneit's all over. And how can an attacker get to this target and you end up with a broken arm, or close to it, as a bare minimum? Before I answer that question, here's one for you. Have you ever seen a boxer's stance? Have you ever watched boxers move around in a ring? Now, where are their arms? And they do it for cover - to protect their heads and faces from being pummeled by the other guy's fists, right? Have you ever looked at pictures or film footage of one of the old-style fighters? You know, like Joe Lewis, or even those who came before him? Have you ever seen how boxers stood back then, or held their arms...before boxing gloves were used? If you haven't, you really should take a look so you can understand what I'm talking about. 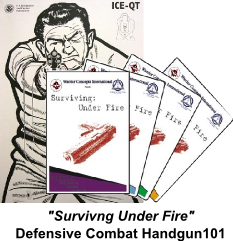 Especially if you're serious about being able to defend yourself against an assailant who's serious about beating, breaking, or even killing you. To cut to the chase, I'll tell you a little about the old school, bare-fisted fighters. Even those who fought with gloves, didn't have the kind of padding that we do today. So, they positioned their arms and fists in very different positions than today's fighters. Because they knew that holding your arms vertically in front of your attacker's fists, would get them hit. They also knew that if their arms were nailed while in this position, that they also stood the chance of punching themselves in the face with their own fist! 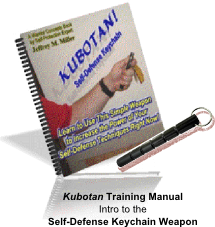 What does this have to do with you learning self-defense. Simple. Because many teachers are teaching their students to fight or defend themselves with their arms in this modern boxer position. "So," you might be saying, "what's the problem?" The problem is that not knowing why something is done, or why it works in one context, can lead you to believe that it works all the time. And, particularly in the realm of personal protection and not-dying at the hands of some crazy maniac, this is certainly important. The reason that modern boxers can position their arms the way they do is because of their gloves. Sport martial artists fighting in competitions can get away with this also. It's because the opponent's knuckles are covered with padding that keeps your arms from getting damaged. So, these fighters generally avoid the arms as a target. They know that it's useless. But, without gloves, your attacker's knuckles can deal a lot of damage to the narrow bones of the forearm. Something that's just not a problem in the ring. my point here is that, if you're studying martial arts to win trophies or to get belts, do whatever style you want and all the luck to you. 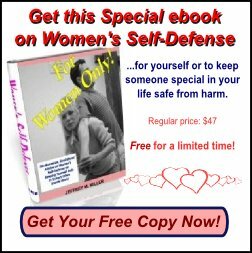 However, if you're trying to develop the ability to protect yourself against a brutal attacker who will do anything to brutalize you, there are certain mistakes you can't afford to make. So, regardless of what you've been taught, avoid holding your arms vertically or at least turned with the broad back of the forearm out and rely on distance to keep the attacker from being able to damage your arms. After all, it's going to be very difficult to throw your own punches with arms that have been beaten or even broken because you put them out there for him to hammer on. 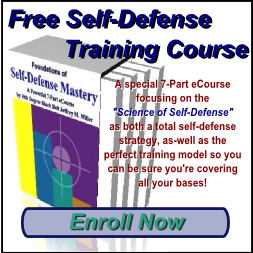 Are you a private individual, law enforcement or security professional, member of the military, or corporate manager looking for real-world self-defense training that works? Get the information you need to survive a real world attack. Jeffrey M. Miller is the founder and master instructor of Warrior Concepts International. 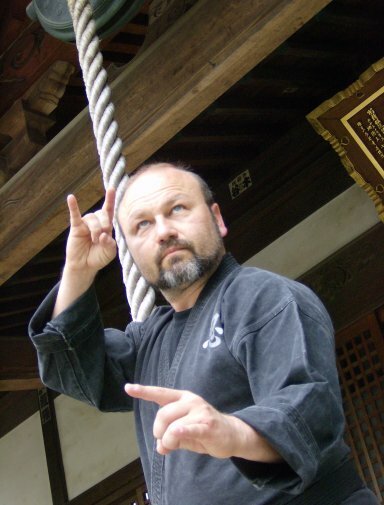 A senior teacher in the Japanese warrior art of Ninjutsu - "the art of the Ninja," he specializes in teaching these ancient, proven, and time-tested self-protection and personal development secrets in a way that transforms his students into modern-day Ninja warrior masters themselves. 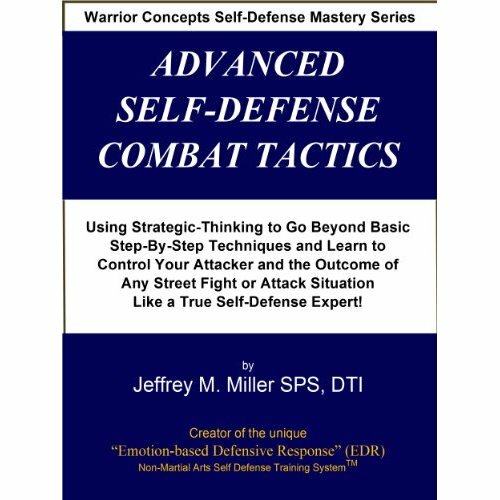 For additional information about how Jeffrey Miller or Warrior Concepts can help you transform yourself with the secrets of the ancient Ninja Warriors, go to the Home page or call WCI at 570-988-2228 . This article is copyright (C)2009 by Jeffrey M. Miller and Warrior Concepts International, Inc. It is free to use in it's original form, with no alterations or additions. If it to be used online, all links must be active and without the use of "no-follow" type coding which would prevent the reader from accessing the resources being referenced. Get more free articles in Shidoshi Miller's Article Archive!